The Solar Plexus Chakra is symbolized by a circle with 10 petals in which is inscribed a downward-pointing triangle. This is an energy center that provides momentum to realize your goals and ambitions in your lifetime. As a result, it affects your development of warrior energy and is the drive that helps you to stay the course to success. 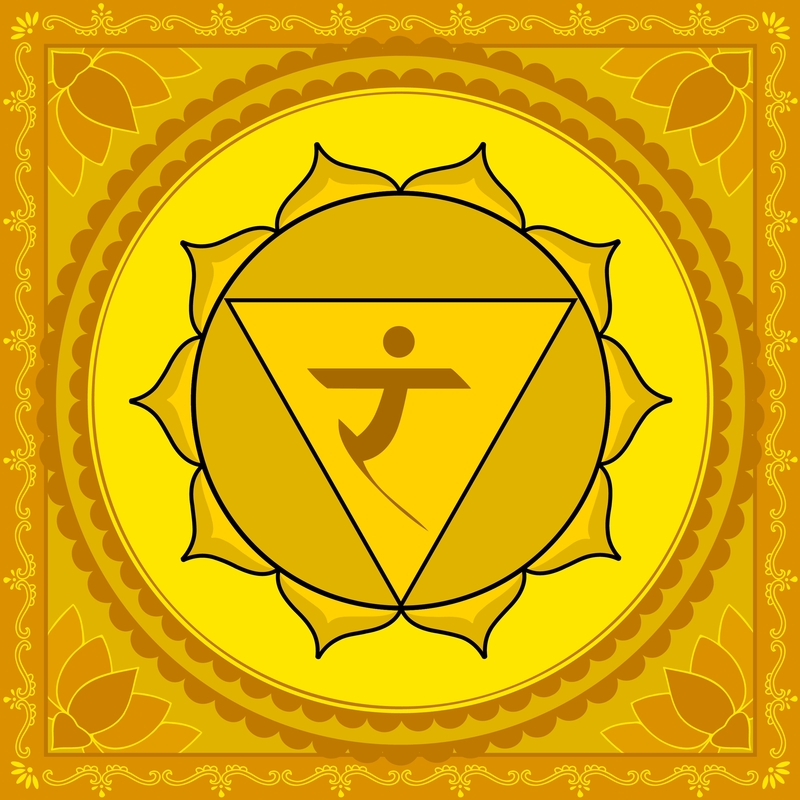 The Solar Plexus Chakra or Manipura is the center of inventiveness, perseverance, self-control, resolution, and realization of accomplishment (Itcha shakti). You may also know it as Manipura, which is the Sanskrit name for the Solar Plexus Chakra. In Sanskrit, Manipura means City of Jewels. This Chakra is located in the solar plexus area of the upper part of your belly right where the diaphragm rests or “behind the navel”. 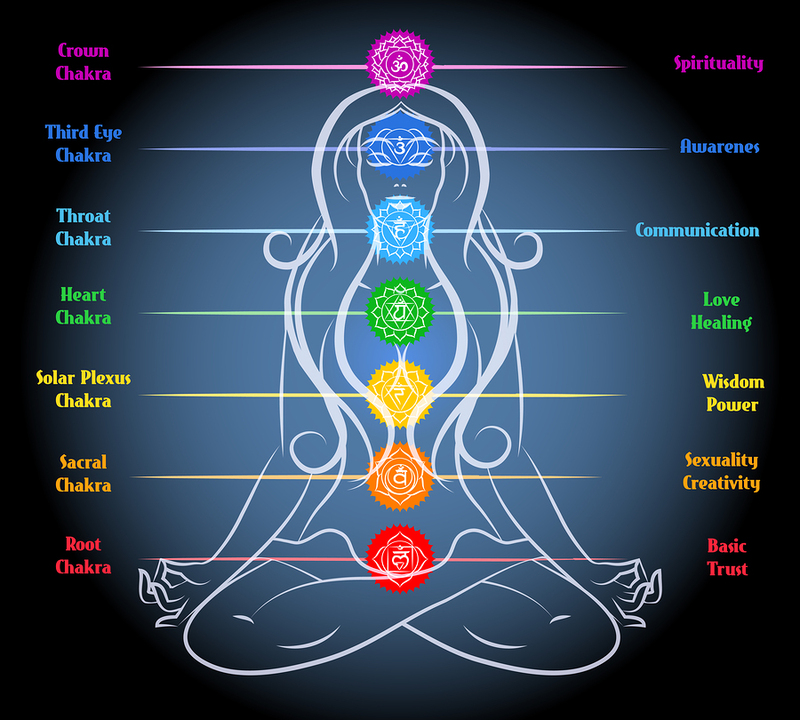 Additionally, in the traditional system, this Chakra is the third from the bottom so is referred to as the third chakra. The color of this chakra is yellow or gold, so any precious gem or crystal in shades of yellow help open up the solar plexus area to bring healing energy to the liver, pancreas, spleen, and stomach areas. My favorite third chakra healing stones are Citrine, Tiger’s Eye, Yellow Tourmaline, and the Yellow Topaz. Amber, Bergamot, Cedarwood, or Frankincense are good suggestions to begin your search for the right essential oil for your chakra healing experience. Use your essential oils to create an ambiance in your space that cleanses and enhances your chakras. I hope you enjoy this video as much as I am. Please note that I have no rights over this video whatsoever and it is for information and educational purposes only. Credit is given below to the creators of this video. Thank you! ♡ THANK YOU FROM BOTTOM OF OUR HEARTS ♡ Everyone at Meditative Mind would like to Thank all you Beautiful Souls, who support us by listening to our meditations and healing music, giving us their feedback, sending us their love and blessings and buy our meditations, solfeggio music, chakra chants, and healing music. Smile & Cultivate Mindfulness.